I have some progress to report on the 1841 Marie Louise gown. It's only a little so far, but it's progress none the less. 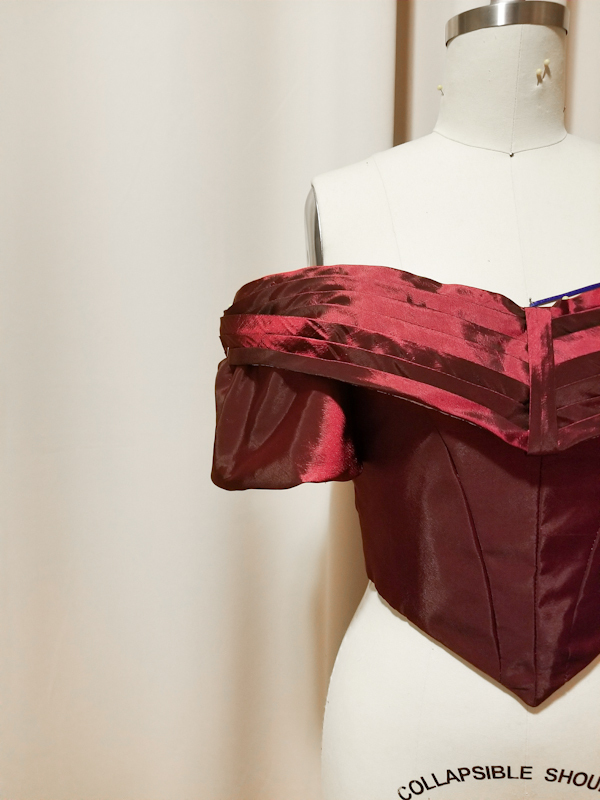 I started working on the bodice and got pretty far with it last week. I got it all stitched together, boned, and put the lining in. And after boning. 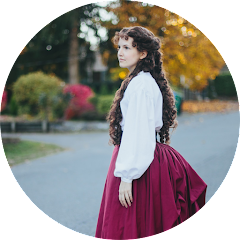 It makes a huge different in how the bodice lays. 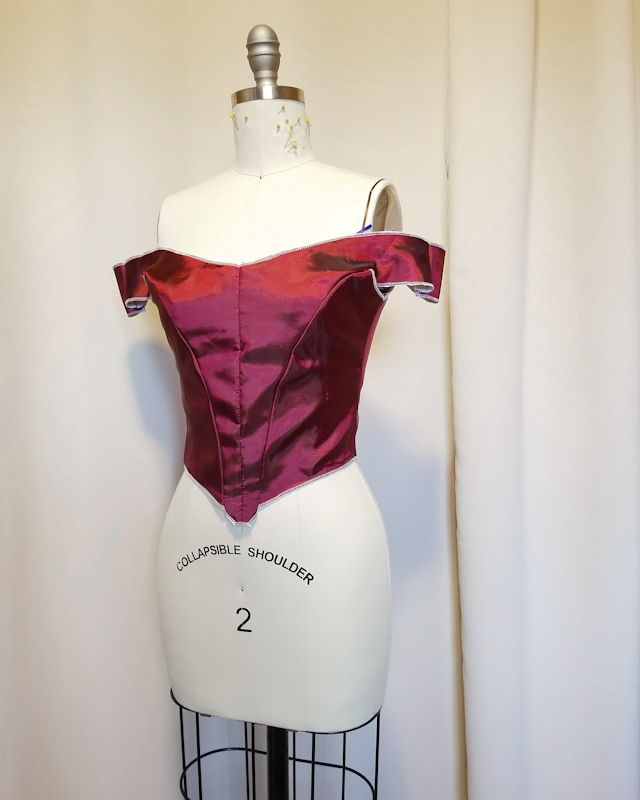 I started working on the bertha, and it came together easily and just needs to be attached to the dress now, as it's only pinned in the above picture. The sleeves are about half done. I really like the way they look so far, but I need to add lace and finish the bottom edge of them still. The bodice looks like it's closer to done than it really is because I only have the bertha pinned and I still need to finish the center back closure. I've been procrastinating because both of those mean a lot of hand sewing. But I'm really happy with how it's looking so far and I'm hoping to have it done before the Christmas season is over so I can get some festive photos.